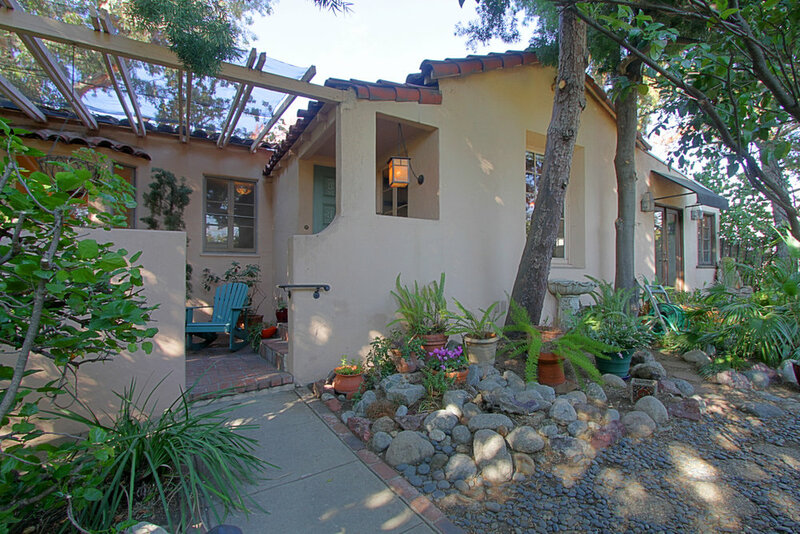 Sold – A Spanish gem on the border of Los Feliz and Silver Lake! Up a secret staircase above the avenue is this lush retreat tucked among Silver Lake shops and restaurants. Enter the courtyard and be embraced by old world charm. 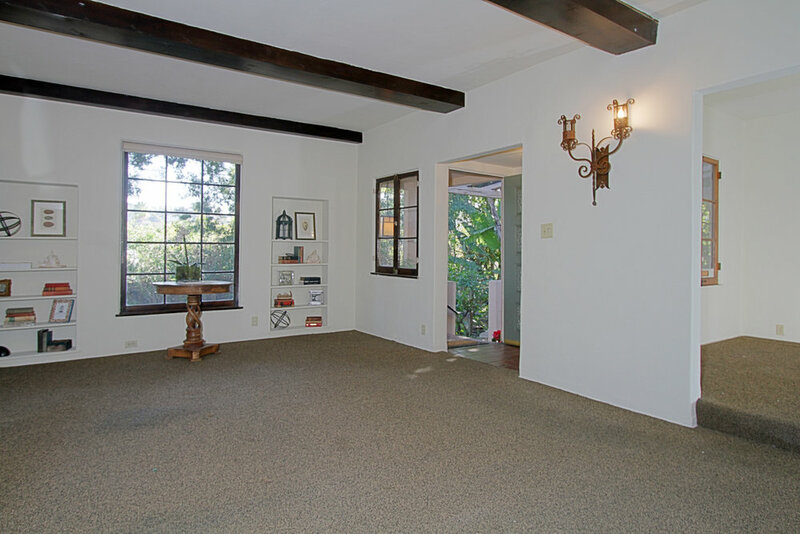 The focal feature of the living room is the central fireplace, flanked by French doors that open onto a bright and serene sun room, an ideal space for an office, studio, or den. The kitchen has a charming niche overlooking the front garden, and a separate laundry area. A side door leads to the rear yard. 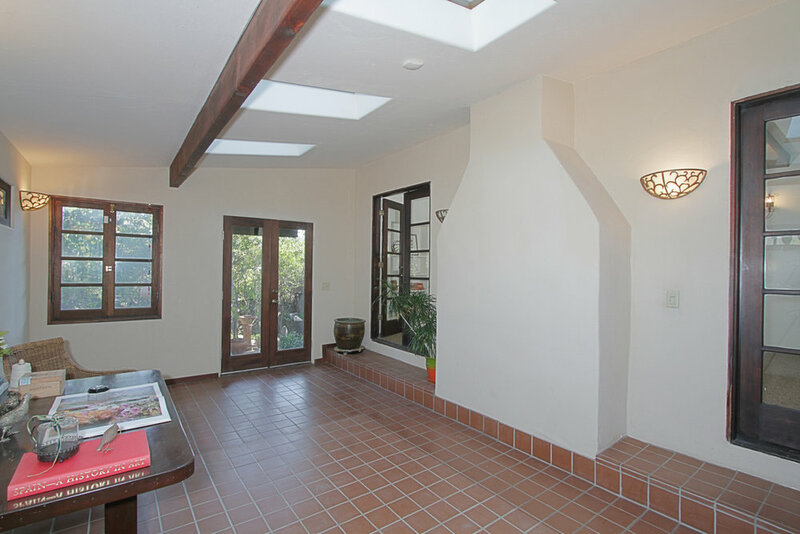 The two bedrooms are situated at the back of the house with a spacious bath between, vintage tile intact. The property has lovely outdoor rooms that seamlessly extend the indoor spaces. There is a 2-car garage with automatic opener and plenty of street parking.